On January 16, 2015 Kim Sorenson was presented with the award for the 2014 Employee of the Year. 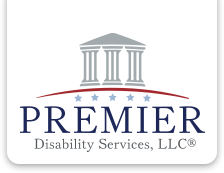 Kim has been with Premier Disability Services, LLC since July of 2012. In July of 2014 Kim was promoted to a Department Lead by her supervisors. The award is given each year to the employee that best resembles first class customer service as voted by our staff. How Do I Expedite my Social Security Disability Claim? Wait times for Social Security Disability determinations have increased steadily over the past several years. Meanwhile, hundreds of thousands of disabled workers are attempting to make ends meet while waiting to hear if they have been found disabled by the Social Security Administration. Many claimants’ medical conditions prevent them from working even a part-time job while their claim is pending. As a result, they have little to no income coming into their household for a significant period of time. Since some claims can take over two years to be awarded, this can cause a significant financial burden on claimants and their families. Claimants are commonly faced with an inability to pay their bills, mortgages, rent, and other obligations. Sadly, this leads to foreclosures, evictions, and the shut-off of essential utilities. With the New Year quickly approaching, the Social Security Administration has announced the 2015 cost of living adjustment (COLA) for beneficiaries receiving Social Security Disability and/or Supplemental Security Income benefits. The 1.7 percent cost of living adjustment will start for Social Security Disability beneficiaries in January of 2015. For recipients of Supplemental Security Income, the cost of living adjustment will begin on December 31, 2014.